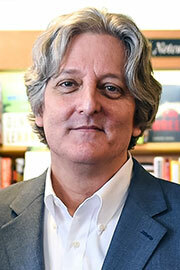 James Ziskin is the author of the Anthony and Macavity Award-winning Ellie Stone mysteries. His books have also been finalists for the Edgar, Barry, and Lefty awards. A linguist by training, he studied Romance languages and literature at the University of Pennsylvania. After completing his graduate degree, he worked in New York as a photo-news producer and writer, and then as director of NYU’s Casa Italiana. He spent fifteen years in the Hollywood post production industry, running large international operations in the subtitling/localization and visual effects fields. His international experience includes two years working and studying in France, extensive time in Italy, and more than three years in India. He speaks Italian and French. Ziskin grew up in upstate New York and now lives in Seattle. He is represented by William Reiss of John Hawkins and Associates, Inc.